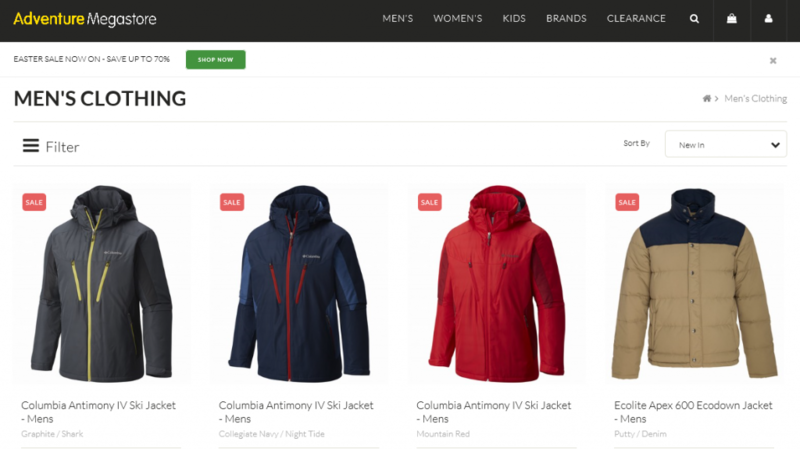 Seams Fashion ERP user Adventure Megastore have launched their new integrated website, incorporating reward earnings and redemptions across their retail outlets and online sales. Provide cash and points incentives to their customers as well as sale and special pricing events driven by their HQ Seams ERP system auto synch facility. Customers can shop and redeem at any of AMS 10 retail outlets or online via desktop, tablet or phone. Sales and performance results are accumulated in Seams Fashion ERP and displayed on demand in Seams Retail Dashboard analytics. AMS brands include Columbia, Sorel, Ecolite and Mountain Hardware.